Have you ever wondered why jack-o-lanterns only have a few teeth? Might it be because they look scarier that way, or is it, perhaps, a reflection on what candy does to one’s teeth after Halloween? Our London, KY dentist office likes to believe the latter. However, there are many different tales that give rise to how Jack-o-lanterns came to be. In an Irish folklore, for instance, it is chronicled that a thief dubbed ‘Stingy Jack’ was left to roam the countryside in death after playing pranks on the devil. Jack was only given a brick of burning coal to light the way in his endless wandering which he put into a hollowed out turnip. The townsfolk referred to his spirit as ‘Jack of the Lantern’ which was eventually shortened to Jack O’Lantern. As this tale gained momentum, more families in Scotland and Ireland began to carve faces into turnips and potatoes. 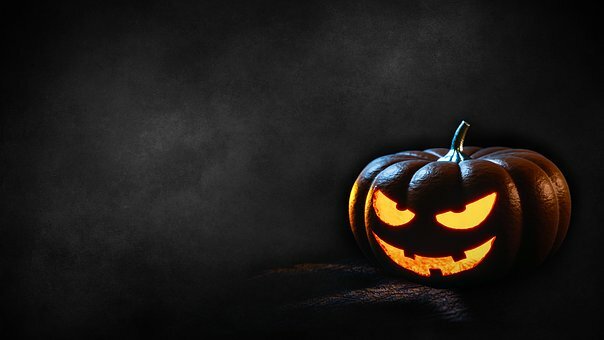 This was to scare away evil wandering spirits like ‘Jack of the Lantern.’ After a time, this practice made its way to England and then to the United States where pumpkins, native to North America, became the ideal medium for the Jack O’Lantern. As a London, KY dentist for children and families, we look forward to October because it’s National Dental Hygiene Month and not just a time to gorge on candy. The aim of Dental Hygiene Month is to educate children and adults, alike, in proper oral care and oral hygiene. Brushing, flossing, dental exams, and nutrition are all important aspects of a healthy mouth. It’s okay to enjoy the treats of Halloween so long as you practice great oral hygiene. Here are a few useful tips, courtesy of our London, KY dentist and hygienist to help protect your teeth while taking part in the fun. Have a piece or two of candy directly after a meal when saliva production is at it’s highest. This allows saliva to help wash away the food particles and sugar that adhere to your teeth. Brush and floss after eating candy. Brushing twice each day and daily flossing keeps plaque and bacteria-causing sugars at bay. Think twice before binging on candy. Some parents are of the theory that by allowing children to binge on candy, they won’t have a taste for it later. While there is some truth to this, it’s better to put a limit on the sweets than spend an evening cleaning up after a sick child. Keep the sweets at home. Avoid sending candy to school if possible. Unless your child carries around a toothbrush with them, it’s best to have them wait until they are home. This way you can manage their brushing and flossing. The best way to care for your teeth and your children’s teeth is to promote oral health. Stress the importance of daily brushing and flossing. Follow our team on Facebook to find more tips on oral health. We strive to educate all of our patients on proper hygiene so that their smiles don’t end up on a pumpkin.